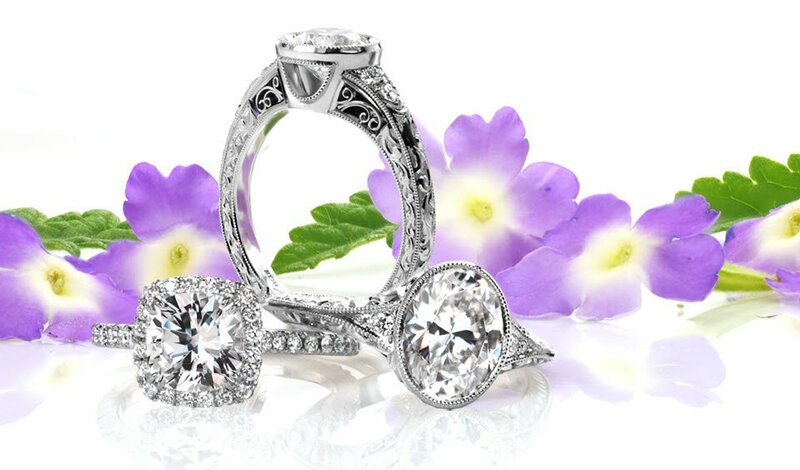 Couples looking for engagement rings in Sarasota, Florida have an opportunity to browse through the online selection offered by Knox Jewelers. 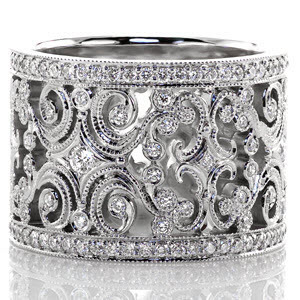 If you are in the market for a set of wedding bands in Sarasota you do not need to look further than our one-of-a-kind masterpieces. 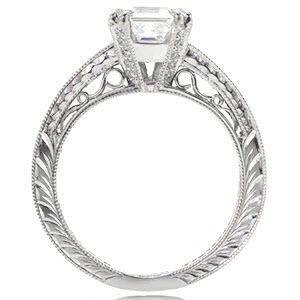 You took great care in selecting your partner and they deserve a unique piece of gemstone or diamond jewelry that has been hand crafted with that same level of care, a piece that will represent how important they are to you for the rest of your lives. Planning the perfect proposal can be overwhelming. 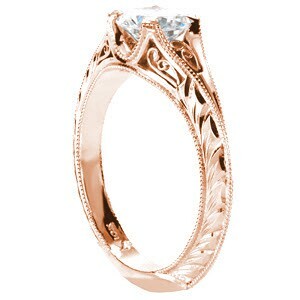 At Knox Jewelers, in addition to creating unique wedding bands and engagement rings, we have an opportunity to help make the proposal just as unique by offering a few ideas to get your creative thoughts flowing. 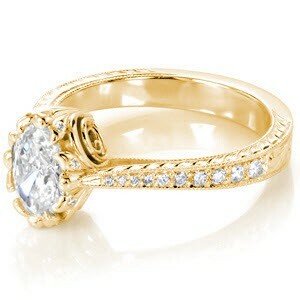 Sarasota is a beautiful location for presenting diamond jewelry and there are many venues for asking the big question. Whether you're looking for some fun in the sun, a romantic mansion, or something classic, Sarasota has the perfect setting for your proposal any time of year. Sarasota, Florida is no stranger to beautiful and romantic views. A classic, beautiful and breathtaking engagement proposal that can easily be set-up, and will offer a picturesque landscape would be a traditional beach proposal on Siesta Key. You can easily plan an impromptu “date” to the beach without your significant other getting suspicious. Not only does a beach proposal at Siesta Key allow for perfect photo opportunities, it also allows you to pick the right moment to present your custom engagement ring without picking an exact spot since there will be virtually no “bad” locations on the beach; after all Siesta Key is the self-proclaimed number one beach in the United States. If you want to get creative, you can always come up with a unique way to present your custom created diamond jewelry in the sand; just be careful to not lose it! For options out on the water consider a sunset sailboat cruise with Siesta Key Sailing. They offer a variety of tour options and you can have it personalized for just you and your darling, a small group of your dearest family and friends, or even to join in with a group that you don't know. This special sailing company can even help you host your wedding by setting up a special trip for you. 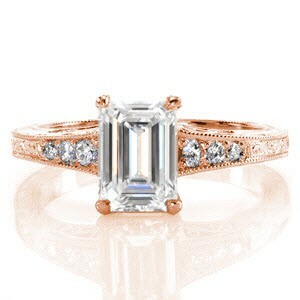 Exchange your vintage inspired unique wedding bands in front of your nearest and dearest in a small, intimate ceremony that will take everyones breath away. Want something a little more up close and active? Head instead to the Mangroves for a kayak tour to see the local wildlife! No matter which of these options you choose you'll see some gorgeous scenery, which will set a perfect background for when you present the engagement ring that you've had made just for your sweetheart. As you slip the custom piece of gemstone or diamond jewelry onto their finger the sunlight will make the micro pave diamonds dance with rainbow fire, but the smile that accompanies their excited “Yes!” will be even brighter. If you are having a hard time coming up with the perfect place to propose in Sarasota; or are maybe thinking of something a little less traditional than a beach proposal, consider the Ca d'Zan Mansion. The Ca d'Zan was home to John and Mable Ringling; of the famous Ringling Brothers Circus. This breathtaking home was built in 1926 is now turned into a museum; which is open to the public. You will be able to find privacy within the 36,000 square feet the Ca d'Zan provides, but the most beautiful scenery you can find on the property would be the waterfront view. Present your significant other with a beautiful piece of diamond jewelry while gazing onto the beautiful waterfront provided by the Ca d'Zan. This historic site is so beautiful that it has been the location where couples exchange wedding bands and have the ceremony of their dreams. Another idea for popping the question in the Sarasota, Florida area would be to venture over to the Marie Selby Botanical Gardens. 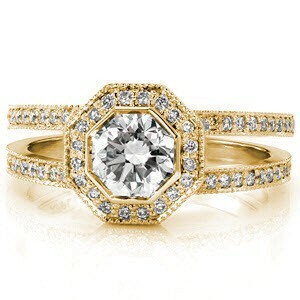 This gorgeous location is an ideal place to present a piece of diamond jewelry to your significant other. After all, the bright colorful flowers will create a remarkable backdrop for the photos of you as a newly engaged couple. Pick one of the eight “private” greenhouses, or choose a gorgeous botanical path to get down on one knee and present your one of a kind engagement ring. There are endless photo opportunities as well as tons of space for your family and friends to join in on the excitement. The Marie Selby Botanical Gardens are so beautiful that many private events and even weddings are held here. Even if you don't choose Marie Selby Botanical Gardens as your proposal spot; it may be just the perfect place for you to exchange your Knox Jewelers wedding bands. This is definitely a spot you don't want to miss! 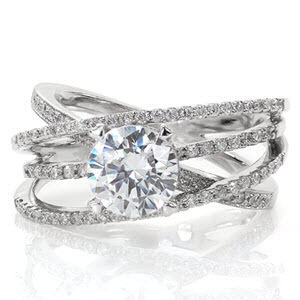 Whether its a private proposal, or one including your close friends and family; know that your significant other will not be disappointed by your heirloom quality, hand crafted, engagement ring and wedding bands from Knox Jewelers. 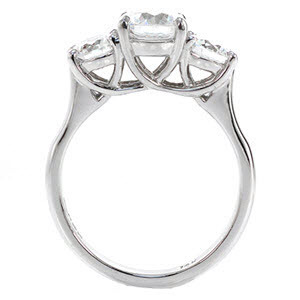 The unique ring will show your true love just how much you care; and your love story will be told every time the ring gets passed down to a new generation of your family.